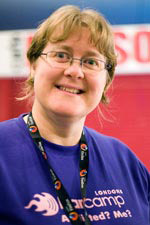 Caroline has self-published several books with blurb.com. 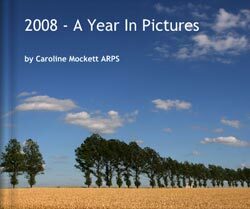 The first, 2008 – A Year In Pictures is a glossy 76-page large format book containing all 366 images from her 2008 Photo A Day project. The photographs are varied in subject matter, ranging from foreign landscapes through local scenes to household objects! Whatever attracted the her eye was what was photographed each day. It provides a fascinating visual diary of the year. The book can be purchased online directly from Blurb, where you can also see a preview of the first 14 pages. 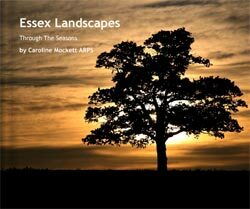 Essex Lanscapes – Through The Seasons is in hardback 10″x8″ format, with 80 glossy pages. It shows some beautiful locations from around Essex, a county which may surprise people with the varied nature of landscapes which can be seen. Rolling countryside, pretty streams and the coastline all feature in its pages. The book can be purchased online directly from Blurb, costing £28.95 + P&P, where you can also see a preview of the first 20 pages of the book. 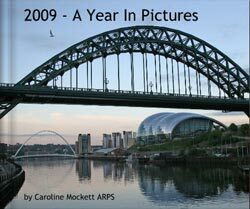 Her next publication was 2009 – A Year In Pictures, a glossy 80-page large format book containing all 365 images from her second year 2009 Photo A Day project. Like the first in the series, this book contains many varied subjects and is an excellent visual record of her year. The book can be purchased online directly from Blurb, where you can also see a preview of the first 25 pages. 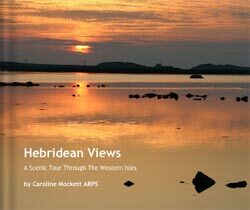 Hebridean Views – A Scenic Tour Through The Western Isles is a new hardback book in 10″x8″ format, with 80 full-colour pages. Featuring images from two trips to the Outer Hebrides in 2005 and 2010, this is a feast of landscape photography which shoes the islands’ remote and beautiful scenery. The book can be purchased online directly from Blurb and costs £28.95 + P&P, where you can also see a preview of the first 27 pages of the book. Caroline hopes that you will be inspired to buy a copy for your bookshelves. 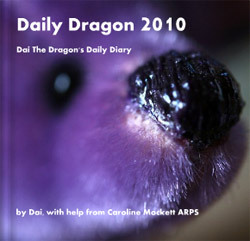 The latest addition to the bookshelves is Daily Dragon 2010, the book of the website. Dai is a small purple dragon and this chronicles his adventures during the year, which can be appreciated by children from 8-80. It’s in 7″x7″ softcover format, with 190 pages full of pictures and stories. You can purchase online directly from Blurb at £24.95 + P&P, and see a preview of the first 15 pages of the book.